Abdul Bari's body was found Sunday morning, 10 February. His body was found floating near the river’s estuary, about 2.5km from where he was last seen at around 9.30pm on Friday night, 8 February. His remains have been sent to the Sultanah Nur Zahirah Hospital in Kuala Terengganu. Abdul Bari, who was fishing with friends at Pulau Warisan, had jumped into the river to help rescue a family of five who were trapped in their sinking pickup truck. He was the nearest to the victims trapped in a Mitsubishi Storm when the incident occurred. However, he is believed to have suffered cramps while retrieving one of the girls and is believed to have disappeared shortly after saving her. He failed to resurface and a search and rescue operation was launched by the Fire and Rescue Department, Marine Police, the Civil Defence Force and members of the public. Bari's father, who arrived at the hospital, was relieved after his body was found. According to NST Online, the sad but composed Mohd Mustafa greeted members of the media at the Forensic Unit in Sultanah Nur Zahriah Hospital with "Alhamdulillah". "We understand and conform with the promise of God Everyone, including his mother, Masitah Awang, 60, is sincere with his departure," he said. His father said that he will miss Bari but has "accepted this as fate"
"I accepted this as fate. We will miss him because he is loved by our family and his friends," Mustafa said, adding that the incident had impacted his family. 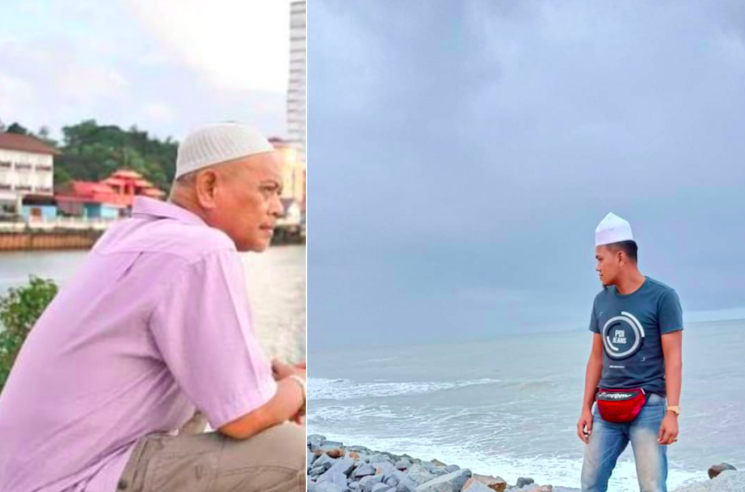 According to Mustafa, Bari, who was a welder at Kampung Merbau Patah in Kuala Berang, loved fishing and on the day of the incident, he had just returned home from fishing at Kampung Seberang Takir before going out again to fish at Pulau Warisan. "Because his intention was to save lives. He is a hero," he added.